Small 900B hatchet for fire wood, garden work and trekking activities. Fiber-reinforced PA shaft makes the axe durable and robust. 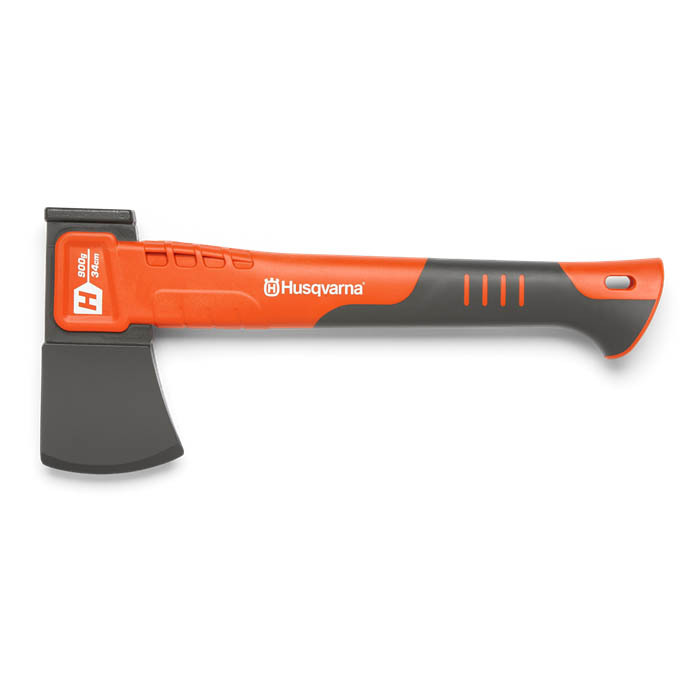 The axe head has a non-stick coating which gives less friction and easy entry into the wood. Soft grip for ergonomics and secure handling. Balance point close to the axe head gives perfect balance and weight distribution. Hammer function for an easy and effective use of splitting wedges (no steel wedges).